Last night was Tequila Friday. This involves heading over to a friends house after a long week at work, eating Mexican food and knocking back some tequila. 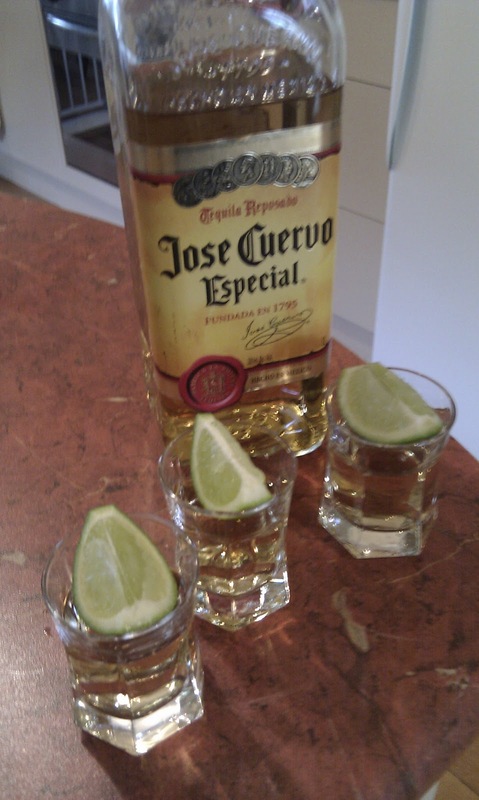 The tequila of choice is Jose Cuervo Especial, and our preferred method of consumption is to take it with a dash of salt and a wedge of lime. However if you are lacking these two ingredients do not dispair, as Jose Cuervo goes down quite nicely on its own. In keeping with the Mexican theme sereral Corona's were enjoyed in between tequilas. Tequila Friday was a frequent event back in our university days, so it was good to bring it back after such a long absence.